No, this is not a good way to get to the Moon. 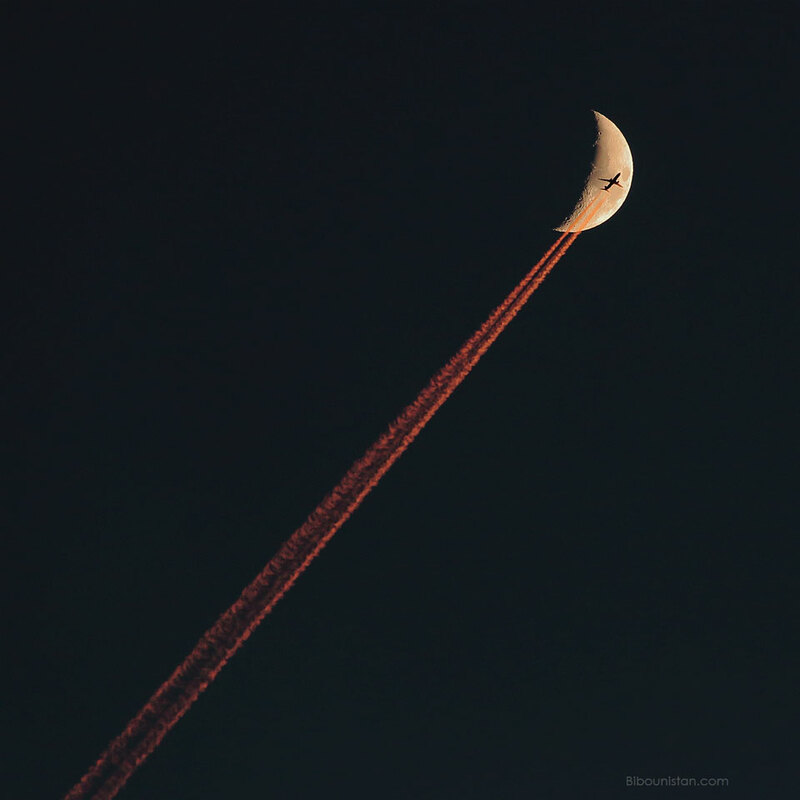 What is pictured is a chance superposition of an airplane and the Moon. The contrail would normally appear white, but the large volume of air toward the setting Sun preferentially knocks away blue light, giving the reflected trail a bright red hue. Far in the distance, well behind the plane, is a crescent Moon, also slightly reddened. Captured a month ago above Valais, Switzerland, the featured image was taken so soon after sunset that planes in the sky were still in sunlight, as were their contrails. Within minutes, unfortunately, the impromptu sky show ended. The plane crossed the Moon and moved out of sight. The Moon set. The contrail became unilluminated and then dispersed. Posted on Tuesday, 12 February 2019 by VGC	This entry was posted in ifttt-photograph and tagged IFTTT, NASA. Bookmark the permalink.